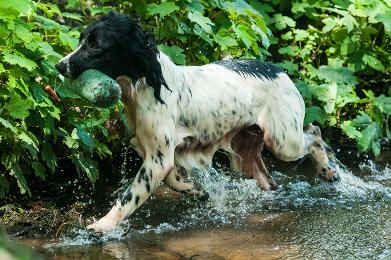 It is a small privately owned kennel, based in the wonderful landscape of Cornwall. Or just a well behaved pet. The first session will start with an assessment of dog and handler before dividing into two groups. Novices in the mornings and the more advanced in the afternoons. Training will be held every two weeks. This will be the third consecutive year of being selected to represent England. The selection was held at Drakes Head Kennels where 26 competed for a place. The judges were Mark Clifford, Gary veasy and a retriever judge for the water test, my other team members are Steve Wanstell, Ben Randall, Alex Badger, Simon Dixon and Gary Smith. 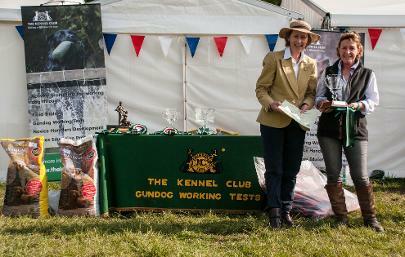 I am delighted to have just been awarded The Gavosie Gundog Trophy 2011/12. This is awarded by The Kennel Club to the Lady Gundog Handler who has gained the most points from the previous Field Trial season. I was also selected for the England Gundog Team this year, although like the rest of the Team, is disappointed not to be competing at the CLA Game Fair this weekend. Again the team is very generously sponsored by SKINNERS. England at the 2012 CLA International. Handling FTCH Edwardiana Bubble of Woodabudge - Flo. To be held at the CLA Game Fair, Belvoir Castle, in July. 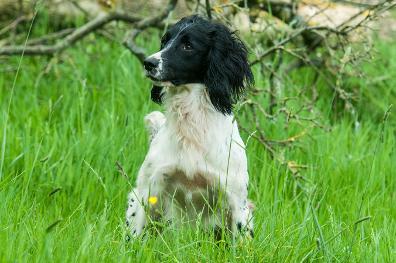 The selection was held at Drakeshead Kennels on Sat 28th April with over 20 top competitors. The judges were: Jeremy Organ, Steve Bolton and Team captain John Halstead. The other team members selected were: Aubrey Ladyman Steve Wanstell, Dave Rayner, Dave Templar and reserve Andy Whitehouse. Ran in the team for Cornwall at the Kintbury Gundog Club - Annual Interclub match at Highclere Castle on 22nd April.